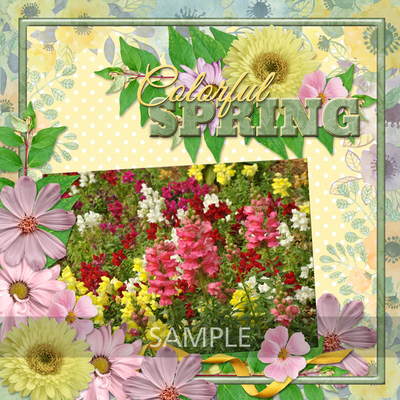 A mix of watercolor and realistic elements in a soft pastel palette ready to scrap all of your Easter, Mother’s Day, Spring Sing Concert, and more photos. The colors are perfect for ALL types of images, from vintage to modern but especially of babies & children. Note: A small portion of this collection were gifts in my stores during April.